A series of remarkable innovations and achievements punctuate Lana’s illustrious 13-year real estate career. Whether it was predicting the growth of the local real estate market or pioneering a realty portal for that market, she continues to prove herself. Even before becoming affiliated with Sotheby’s, Lana was actively involved in first-class real estate operations in Miami. Lana started her entrepreneurial ventures right after graduation, founding and running a successful computer consulting firm in New York City. Success followed her into the real estate industry as she capitalized on the thriving real estate business in Miami. From creating a unique realty portal to working closely with clients, Lana’s efforts have always involved a brilliant combination of creativity and hard work. Honesty and integrity define Lana Bell as much as experience and intelligence. Her pursuit of excellence in the real estate business led her to join ONE Sotheby's International Realty. She brings a wealth of experience and insight to this premier global real firm specializing in luxury properties. Lana believes in educating clients, which earns her the trust, and business, of a large and ever-expanding clientele. 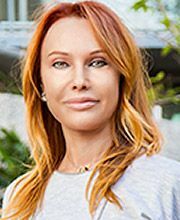 Lana Bell is one of the sharpest minds working in the Miami real estate market, something which numerous investors and buyers are glad for. She does a remarkable job of combining the analytic and emotional aspects of buying real estate, benefiting everyone involved. "Sotheby's International Realty has been the inspiration and the brand that I chose to build my entire real estate career around. No other company in the world has the marketing power, the customer service, the reach, the drive, nor can any other deliver the results that Sotheby's International Realty can provide. It is by far the most amazing, unique and successful real estate company in the world. I am proud to be part of it." - Lana Bell. For the 5th year in a row, Lana Bell is the #1 agent in condo sales in Sunny Isles Beach, however, in 2014 and 2015 Lana became #1 sales agent in Miami-Dade and Broward counties combined out of 47,792 agents.